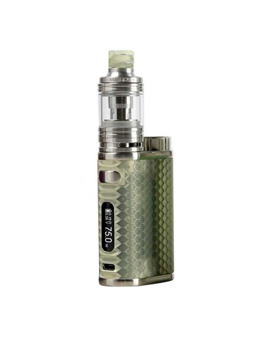 The Eleaf iStick Pico Resin is strictly limited edition.Keeping its small form factor, with a removable 18650 battery, various output modes and supplied with the MELO 4 tank, the iStick Pico Resin offers a beautiful honeycomb resin appearance. Once these are gone, they are gone so order soon to own a stunning Pico Resin. 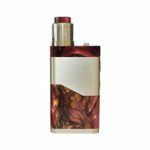 Only slightly taller than an 18650 battery, the Eleaf iStick Pico Resin is the definition of palm-sized. 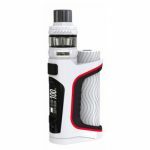 The removable 18650 battery means a quick and easy change over when charging and means the overall life of the Pico Resin can be much longer. 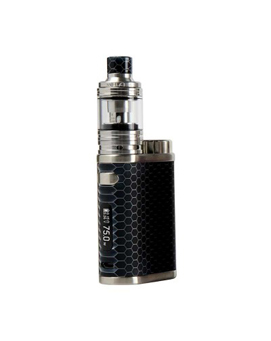 The Pico Resin comes supplied with the MELO 4 tank. Utilising the latest EC Net / Multihole atomizer head technology, these coils are designed using Net and Multihole mesh, providing a greater surface area for clean flavour and clouds of vapour. The unique bottom design accommodates the selection keys and a series of vent holes for added safety. Upgradeable firmware will keep you one step ahead of the vaping game, ensuring your iStick Pico always has the most up to date vaping technology.